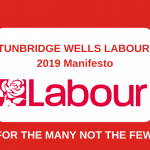 Today Tunbridge Wells Constituency Labour Party has published its manifesto for the local council elections in May 2019. Entitled ‘Tunbridge Wells For the Many Not the Few’. It offers a set of policies for the whole Borough which put residents first and call for an end to Conservative austerity and false choices. 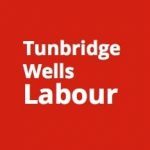 Labour will have candidates standing across the Borough on 2 May 2019 offering an ambitious vision for Tunbridge Wells residents. 1 Oppose the civic centre project. Spending over £90m on new council offices, car park and theatre is not needed and will result in cuts in services, increased charges and council tax. 2 Build more houses. Rents are too high and buying a house is expensive. Young families find it difficult to find a place to live. We need more genuinely affordable housing to rent and buy across the Borough. 3 Revitalise our town centres. Across the borough more shops are closing. We need new ways to attract businesses to our towns and support small independent traders. 4 Protect our environment, invest in public transport. We need to protect our green spaces, reduce air pollution and the use of plastic. We need to invest in out of town parking, cheaper public transport and encourage more cycling and walking. 5 Oppose austerity and cuts to local services. All of us are paying more to get less. 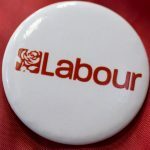 Labour will continue to oppose cuts to local services, particularly those that support the most needy. 6 Give people a greater say. We want to improve local democracy and for more people to have more say in the decisions that affect their lives. Too often the council doesn’t ask people or ignores the answers they don’t like.